Completed for Greater Manchester Property Venture Fund this city centre office development consists of 6000m² of commercial office space across six floors, together with basement parking for 50 cars. The building was a pre-let development for Direct Line Insurance. 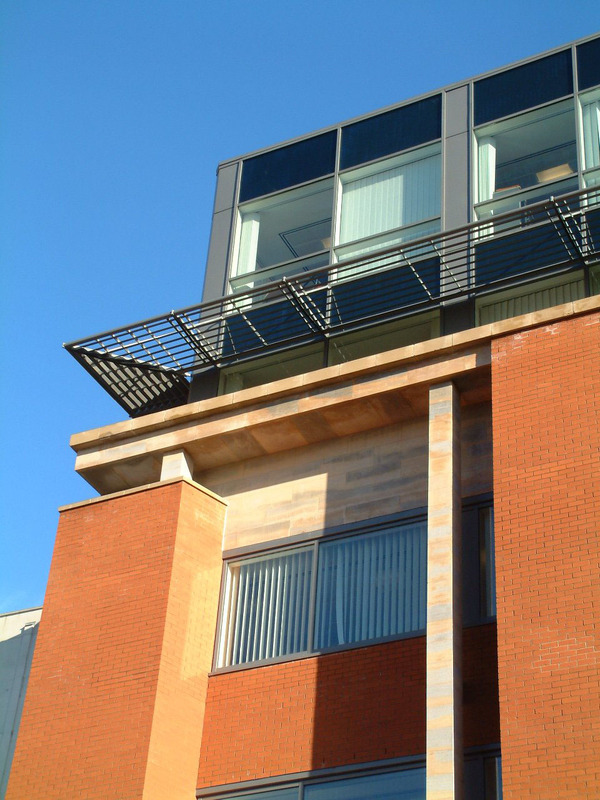 A contextual response on a tight urban site, the scale and mass of the building relates to the adjoining properties, as does the use of natural stone and brick cladding.